Offered to the market is this spacious, three storey, three Bedroom townhouse located in the ever popular development of Oakley Park, Covingham. Benefiting from Driveway parking and Garage, this property is an ideal family home. The accommodation comprises of Entrance Hall, Kitchen/Family area, Cloakroom, and Living room. 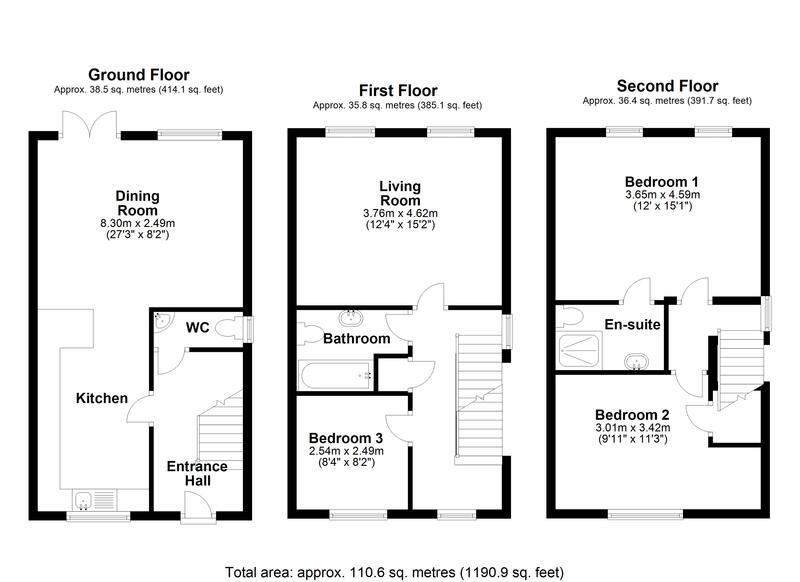 Upstairs there are Three GREAT SIZE Bedrooms, Master with En-suite and a modern, three piece Family Bathroom suite. Externally is a very well situated and FULLY ENCLOSED rear garden. Viewing comes HIGHLY RECOMMENDED by Richard James. Offered to the market with NO ONWARD CHAIN.